Having grown up in Texas, most of my lifelong friends are extreme conservatives who are members of the Tea Party, Libertarians, or both. 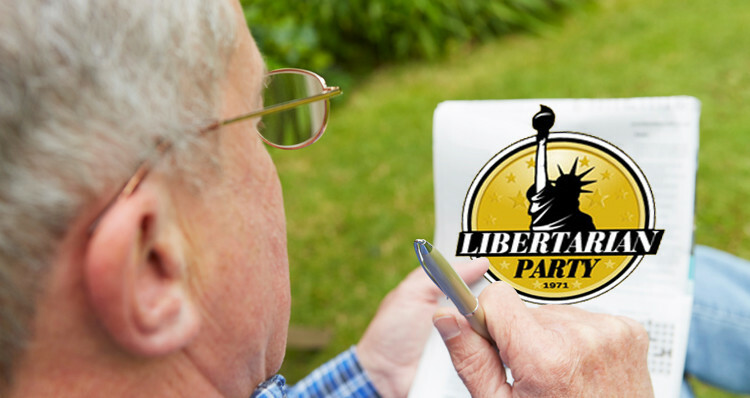 The main appeal of the Libertarian party to those involved seems to be its principles of autonomy and personal choice – essentially their belief in limited government, that personal freedoms trump governmental interests. My Libertarian friends oppose existing political and economic systems, laissez-faire capitalism and advocate strong private property rights. Here are 4 reasons most libertarians are either lying or confused, or why many most – if not all – of my Libertarian friends could, would and should never be actual members of the Libertarian Party. And bear in mind, these are taken directly from the official Libertarian Party Platform; these items are not my opinion. I almost wrote that they are Pro-Abortion as most of my Libertarian friends do not, or cannot, distinguish the difference between being pro-choice and pro-abortion. First, they specifically cite those crossing borders to “escape from tyranny.” Doesn’t that apply to children from Latin America? Second, the only exclusion to the unrestrained ability to cross borders are foreign nationals posing “a credible threat;” otherwise they do not support any border restrictions to include persons, money and corporate interests. In this instance, the stated ideological/political beliefs of my Libertarian friends are in direct conflict with the party’s platform on 4 out of 6 of those issues.